Hello everyone! I hope all has been going great today! 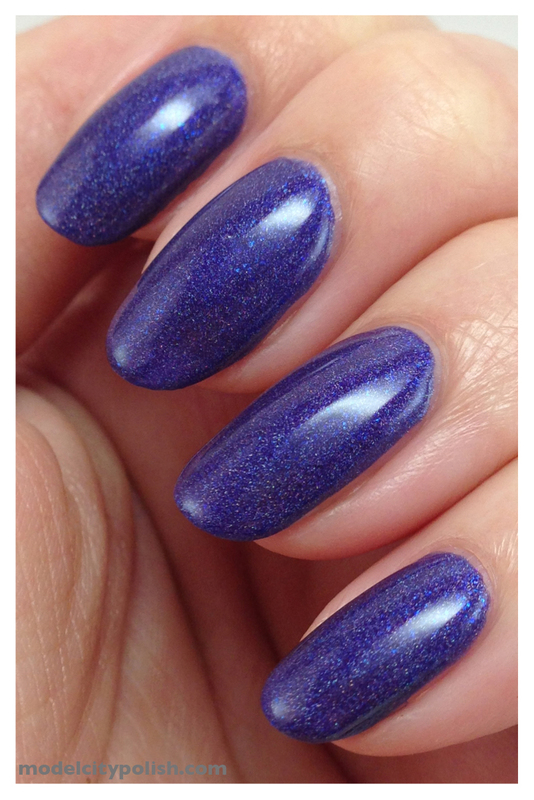 I am back with another amazing blend from Above the Curve’s Polish Addiction Collection. So far I have loved everyone single one of these and would highly recommend the entire collection to anyone who loves polish. Today I am sharing Lemming Have It!. 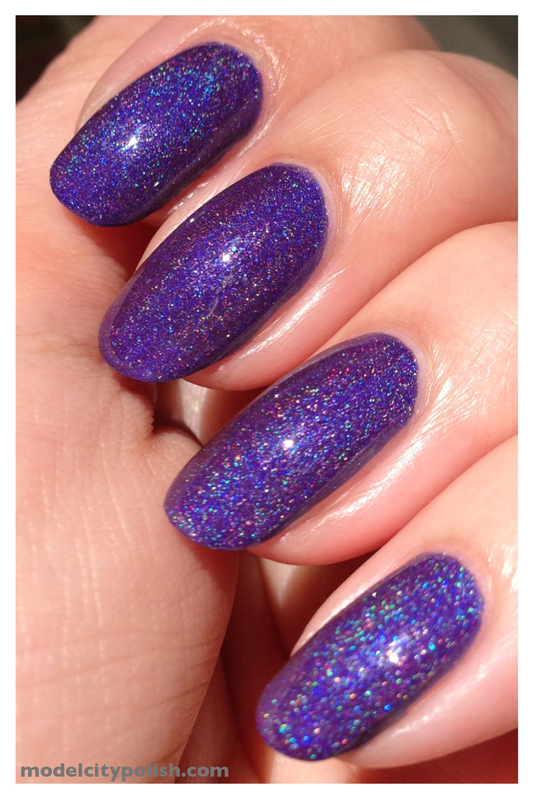 This one is a beautiful rich purple base packed with holographic goodness. 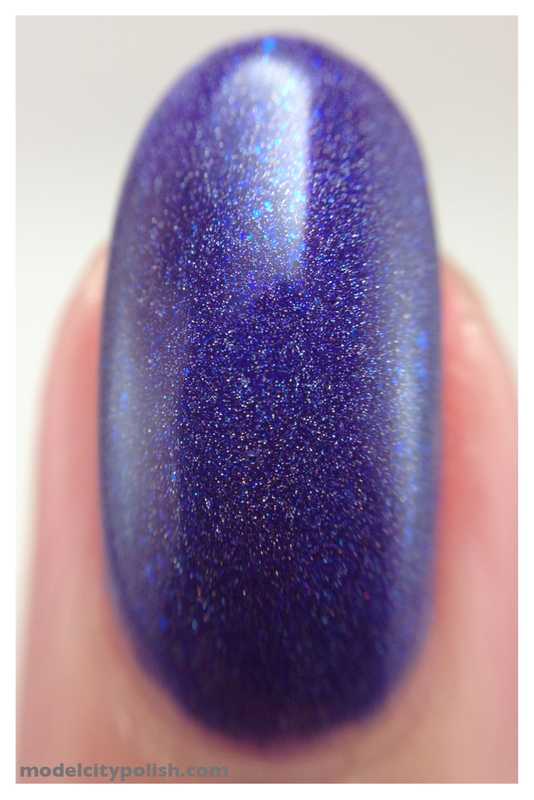 What makes this one different than most holo purples on the market? Well there are these gorgeous blue/purple flakes that just add this extra bit of beauty. I used three coats in my pics but easily could have done just two. Application was wonderful and the holo was wonderful. The first group of pics I will share are in my light box. Now to brighten it up with some sun light. The flakes tend to hid behind the holographic pigment but it still is a wonderful look.